Thanks for checking back this week! 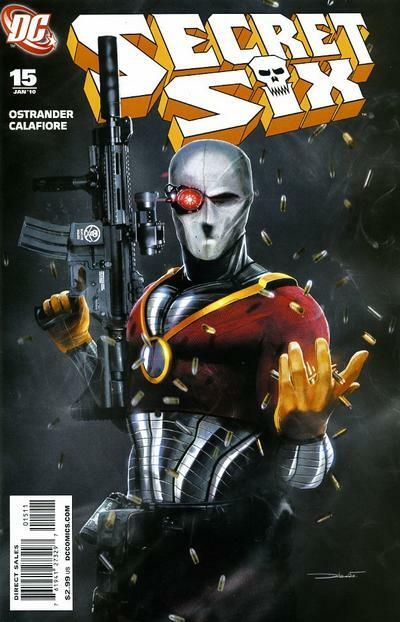 Today, I give you Secret Six #15, from January 2010. Amazing Deadshot cover by Daniel LuVisi. With the new Suicide Squad movie coming out, obviously everyone is going crazy about Harley. But if I was a betting man, I would put some good money on the fact that Deadshot will be a huge star coming out of this. DC has big plans for him. Not only is he being played by a Hollywood icon, but word on the street is he will appear in two of the Batman movies slated. Something big is brewing. Trust me. When looking around, this was one of the coolest covers of him I found. The print run of this book is around 33k. With the black cover, there will not be many high grade issues of this out there. Add to the fact, that Secret Six have been in $1 bins forever! The average price on ‘zon and the ‘bay is about $3. SO, it won’t kill you to grab a copy or two. Deadshot just may take off!